By Hay Caps based in Denver, COLORADO (USA). By Burrows Enterprises, Inc. based in Greeley, COLORADO (USA). After lots of interest for Round Bales Hay Caps we have come up with a suitable cover for farmers who stack round bales on their ends (barrels). 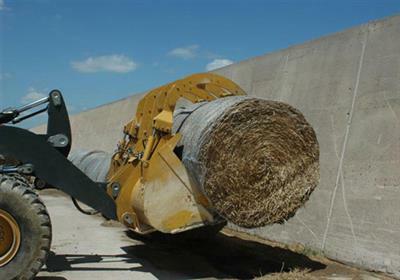 Made of the same material & thickness as our traditional Hay Caps, these are also held on with 4 large pegs and are designed to suit up to 5ft diameter rolls. By Kubota Tractor Corporation Distributor in COLORADO (USA). The 9250 DynaFlex Draper Headers from Massey Ferguson. How do you make your combine work even harder? With the 9250 DynaFlex draper header. It's specifically designed to increase cutting, conveying and feeding performance in soybeans and small grains. 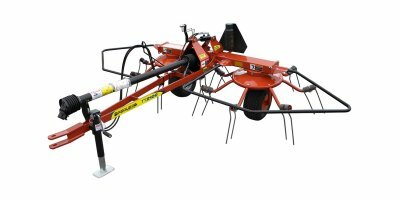 Pequea's 2 rotor tedder comes with the same rugged features as the 4, 6, and 8 rotor tedders in a compact form. It has the same tines, rotors, axles, and gearboxes it's bigger brothers in a 2 rotor form. 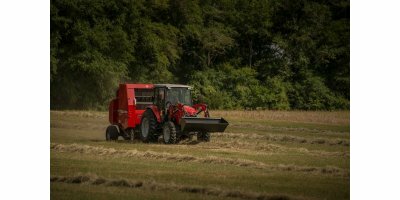 Designed for smaller fields that want quality hay, the TT2100 will get the job done. 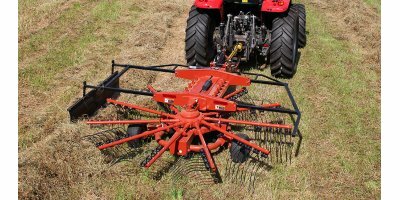 The RCI Rake, a full featured value based high clearance rake with independent wheel arms, has a proven compound angle folding design along with wide stance and the low profile allows for compact and stable transport. Windrow width set by wing angle. Options offered: Dual and Single center kicker wheels and hydraulic flow controls. The HR1140 is features an 11' raking width with a tilt cylinder, lift cylinder, walking beams and removable tine arms to make raking easy. 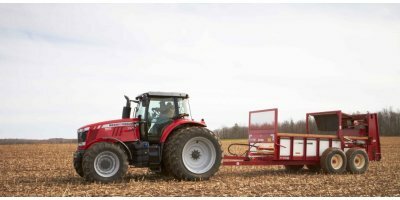 The Massey Ferguson 8200 series flex header provides the capacity you need with the proven auger design. The Massey Ferguson 8200 series headers provide an excellent platform to adapt to many different combines and crop situations. 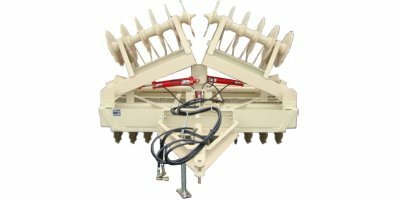 These headers feature smooth, aggressive feeding in a number of cutting widths to handle any harvesting conditions. By Cannonball Engineering, LLC Distributor in Siebert, COLORADO (USA).